Here we share a link to Download Essential Phone February 2019 Security Update. The update is a stable Android Pie build and rolling out via OTA. The Stable Pie update PQ1A.190105.014 for Essential Phone brings February 2019 Security Patch. 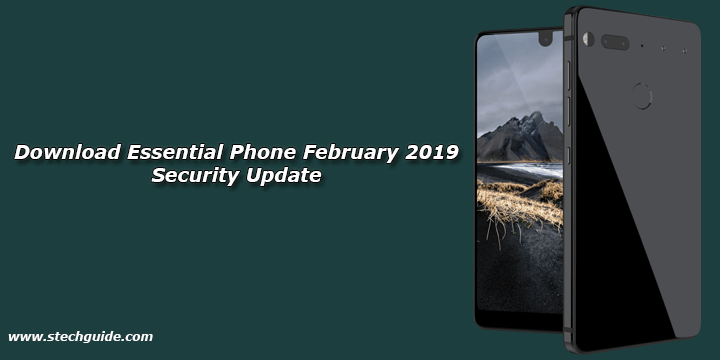 Download Essential Phone February 2019 Security Update from below. The Essential Phone OTA update features all Android 9 Pie features along with the Notch setting and February 2019. Download Essential Phone PQ1A.190105.014 Factory Image and OTA from below. There is two method to get PQ1A.190105.014 OTA on Essential Phone either install Android Pie OTA Updates or Download the Factory Images of Android Pie and flash it manually. If you’re already using the Android Pie build on your Essential Phone, you can grab the OTA file and sideload it without deleting your data. The Android 9 Pie Factory images or OTA for Essential Phone will install over top of whatever you’re running, and they do delete everything by default. Download Essential Phone February 2019 Security Update from below. This Firmware file is only for Essential Phone PH-1. Don’t try this on any other device. Follow the method correctly otherwise you may brick your device. We are not responsible for any damage to your phone. Installing Android Pie System image on Essential Phone will delete all your data so take Complete Backup of your Device before proceeding. 1) First enable ‘USB debugging’ and ‘OEM Unlock’ option from setting>developer option>. To enable Developer Options, go to About phone and tap the Build Number 7 times. 2) Go to ADB installation directory and press and hold ‘shift’ key and right-clicked anywhere in the folder and select ‘Open command window here’. 3) Now connect your device to PC and enter into the fastboot mode. 4) You are in Fastboot mode now to check your connection by entering below command in command prompt. 5) To unlock bootloader of Essential Phone on Android Pie, go to the command line and type below command. It will only take seconds to complete the process. 6) Now your device will reboot into bootloader mode. 1) Download the Essential Phone Android Pie factory image for your device and unzip it. 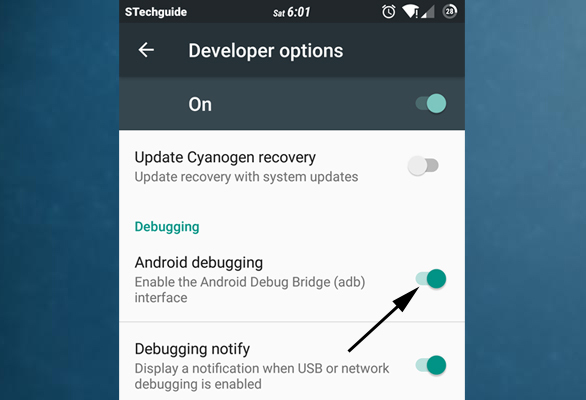 2) Connect your device to the PC over USB and Enable USB Debugging option from setting>developer option>. 4) Open the command prompt and navigate to the unzipped system image directory. 5) Now Execute the “flash-all.bat“, it will unzip the image files and install the necessary bootloader, baseband firmware(s), and operating system. The step will install Android Pie system image on Essential Phone. 4) Download Android Pie OTA for Essential Phone from above Copy ROM to a folder where adb installed. So this the complete guide to Download and Install February 2019 Security update on Essential Phone. If you have any doubts comments below.